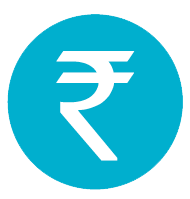 Note 1: The above fee structure is applicable for all Indian national students who are residing in India. For any non-resident Indian or foreign national please contact us for details of our fee structure. The GRMI Office of Financial Assistance provides information and assistance to applicants, and once admitted, through the entire time that they are in the institute. We are here to help you navigate through all aspects of the financial aid process. It is wise to explore a variety of resources to help finance your education. Although students and their families are aware of the many advantages of investing in higher education, many applicants are worried about the increased cost of undertaking a postgraduate program. However, completing a higher education program can contribute to brighter employment prospects, apart from helping you gain the confidence and skills needed to perform diverse and demanding roles in the professional world. All students admitted to GRMI will have access to a number of student loan options made available in collaboration with banks and financial institutions that offer low interest rates and do not require the students or their families to provide collateral. We know that financial aid information is important and can be confusing, so please do not hesitate to contact us with any questions you may have. 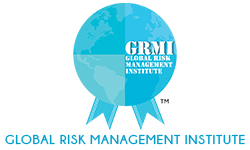 GRMI Institutional Scholarships apply ONLY toward tuition and fees. Awards are tuition waivers ONLY. Therefore, GRMI does not permit this type of scholarship to apply towards the cost of books nor may GRMI directly refund it to students. Only award recipients will be notified by GRMI as part of the Student PGDRM Offer Letter. Cessation of enrolment will cause a loss of scholarship. Applicants must be Indian Citizens or eligible non-citizens. Scholarship awards are non-transferable and may affect eligibility for other financial assistance. Scholarship awards are not supposed to be disclosed with alumni, current batch or future batch members at GRMI or anywhere else publicly. The award is strictly confidential and pertains to the awarded student only. Any default may cause a loss of scholarship. Students who submit an application certify the information provided on the application is correct to the best of their knowledge. Falsification of information will automatically disqualify a student from receiving any scholarships. Students agree that if awarded a scholarship, GRMI may share their name and scholarship information with accreditation partners. InCred aims to support the India growth story and to aid current and future generations of Indians embark on their personal nation-building journeys – by removing the biggest hurdle our students face when dreaming of higher education – financing. Our Education Loans are designed to bridge the gap between personal potential and financial feasibility for students seeking education beyond K-12, both in India as well as overseas. Avanse makes its presence felt in almost all the major Indian cities in India and reaches out to students and guardians, enabling education loan aspirations to 183 locations. We have made a mark in the industry by funding most traditional and non-traditional courses which appeal to today’s young and dynamic generation as they look to forge their strong career path via education. As such some of the areas (and not restricted to only these) which we fund pertain to engineering, medicine, law, management and also to hospitality, culinary, aviation, arts and media related studies. We offer 100% education finance options to all major approved courses and reputed colleges. We understand that sometimes work makes families migrate to different cities as well as countries and this makes documentation difficult and loans almost impossible. Therefore we also accept multi-city co-borrowers to make lives and studies easier for students. 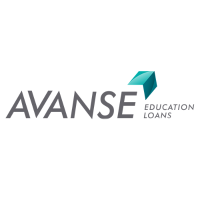 Avanse, being a new age company keeps all multitude of factors in mind that help consumers achieve their goals regarding higher education and customizes the options available for education finance.